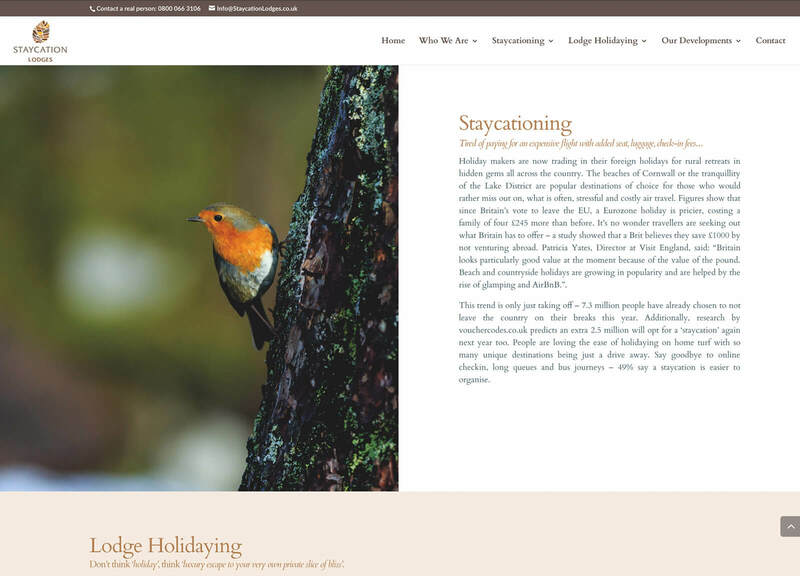 Staycation Lodges website was completed alongside their brochure design. The client initially enlisted us to build a one page website with a Jump menu to scroll the user up and down the page from section to section. We implemented this for the home page, but due to a fairly large amount of content the website gradually developed into something a bit more substantial. 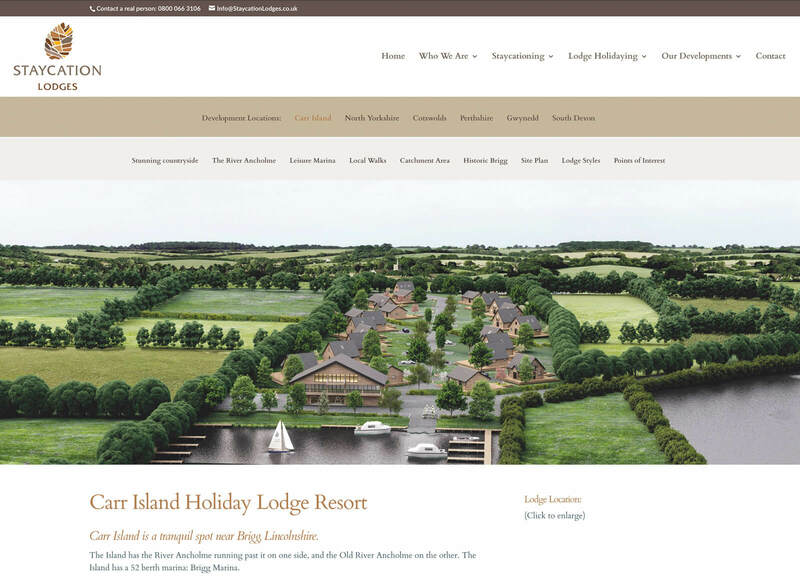 The company currently has one lodge site under development, and a handful of others in planning. So we created a structure for the site using multiple menus. 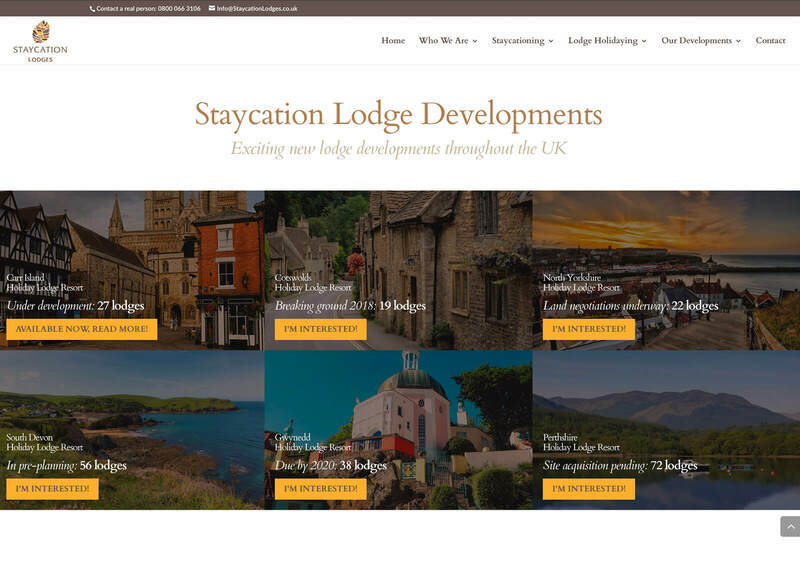 We added pages for each development, and also created a separate page for their current development which features a jump menu and lots of information about the lodges and area around the site. 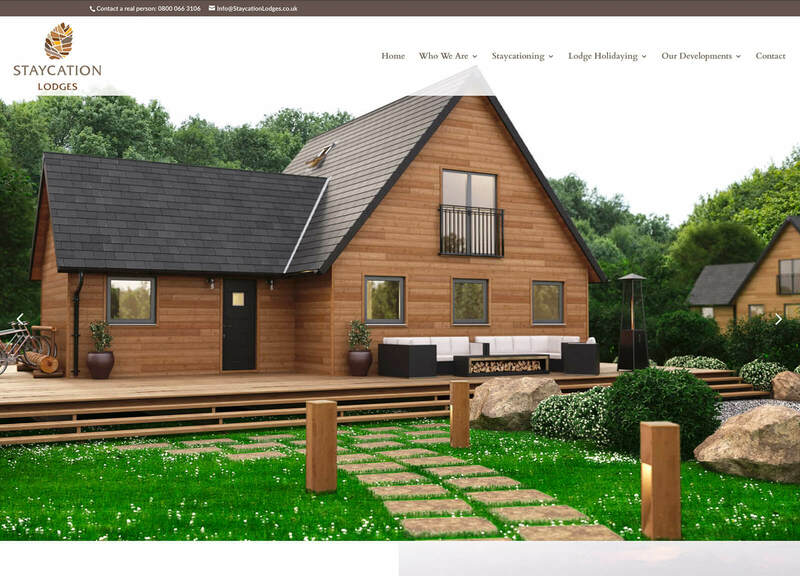 The website was successfully completed on a tight schedule to meet their deadlines for presentations. 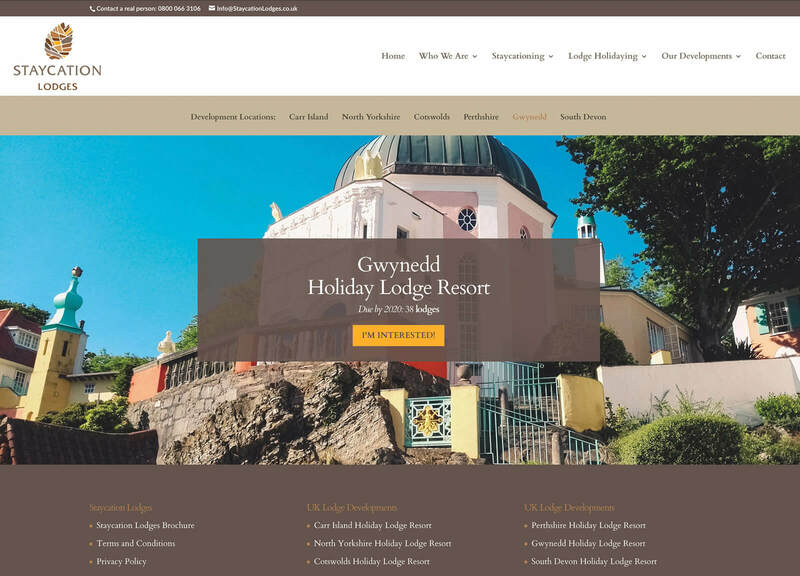 The result is a website filled with earthy tones to match their branding, using lots of images to promote their current holiday lodge site. 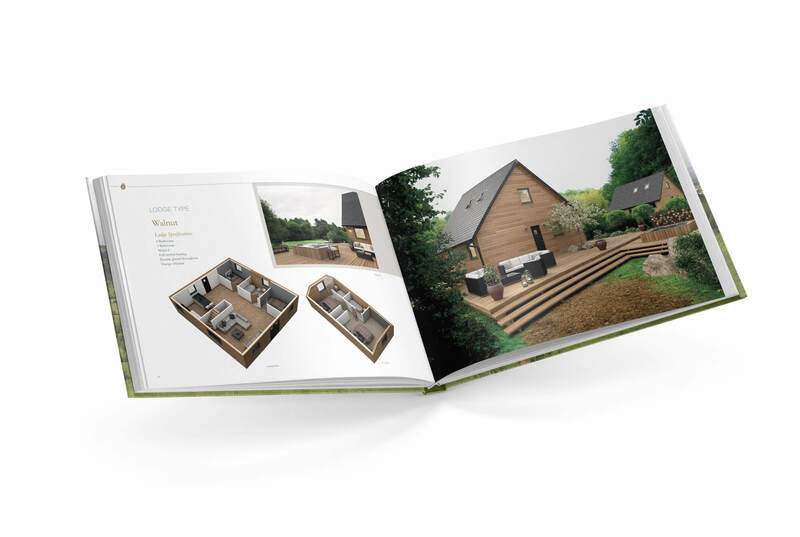 We created an A3 perfect bound hardback brochure for Staycation Lodges alongside the website project. We think the result looks fantastic, and makes an amazing statement due to its A3 size and quality.